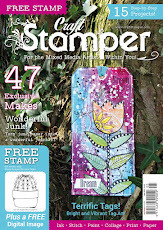 Craft Stamper Magazine: Announcing the IndigoBlu free stamp make winner! Announcing the IndigoBlu free stamp make winner! Thank you to everyone that took part , what fabulous projects. We really enjoyed looking at them. We put all the names in a hat and I am pleased to announce the winner is......................... Shirley, with a stunning tag. Please email cs@traplet.com with your name and address Shirley and we will send you a fabulous stamp set from IndigoBlu. There is still plenty of time to show us your free stamp makes from the September issue, using the fabulous stamp by Chrissie Stokes. We would love to see your projects. How excited am I, thank you girls for picking my name from the hat. I have no IndigoBlu stamps so can't wait for these to come so I can get crafting with them. 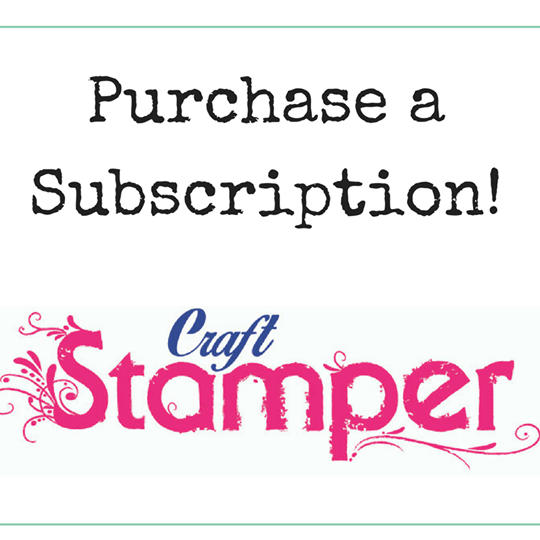 Sept Issue - Share your free stamp makes!